Comment: Would like to share a stucco inspection report to get an idea on cost to make recommended repairs. Comment: I need some stucco replaced/repaired on the side and front of my home. Comment: When original siding was installed when house was built 25 years ago, no wrapping was put on underneath siding. So would like to replace this now. Comment: The house was not wrapped underneath the original siding; want new siding done correctly. Comment: A piece of the trim at the bottom of the portico over the front door has come off. It is made of styrofoam. The whole trim will need to be replaced and of something more durable. Parkesburg Siding Contractors are rated 4.74 out of 5 based on 1,320 reviews of 27 pros. 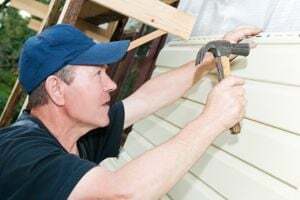 Not Looking for Siding Contractors in Parkesburg, PA?